Australian artist Duncan Mattocks did a series of paintings for the recent launch of the latest Adidas Star Wars shoes collection at “Laced” — a shoe store in Brisbane. (I wrote about the Jabba shoes here.) 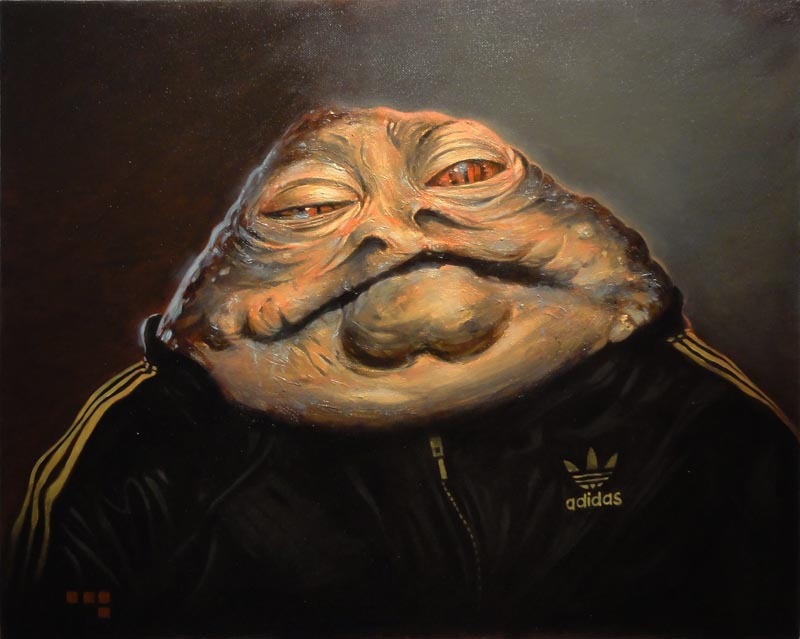 All of them are brilliant, but of course my eye went immediately to Jabba the Hutt in an Adidas tracksuit. A great concept, perfectly executed. I contacted Duncan about the piece, but unfortunately it has already been sold. I might want to commission some art from him in the future though.